(Sophie Olga de Jong & Sytske Kok, The Netherlands, animation, 2018, 2 min, nonverbal) North American premiere! As a small girl’s grandfather teaches her how to ride a bike, she discovers that real adventures begin where the road ends. (JC Little, Canada, animation, 2017, 2 min, nonverbal) Seattle premiere! Somebody gets themselves in a pickle when they steal some flowers to woo a new friend. (Sergei Ryabov, Russia, animation, 2018, 3 min, Russian, with English subtitles) Seattle premiere! An inseparable girl and cat are on a long journey, playing checkers. The girl keeps winning, until the cat gets a lucky break. (Giselle Pérez, Guatemala & Canada, animation, 2018, 2 min, nonverbal) US premiere! Tasty family fun happens when a little girl and her grandmother try to make a typical Guatemalan dish. (Ivana Guljasevic Kuman, Croatia, animation, 2018, 5 min, nonverbal) US premiere! A sweet witch spends a month perfecting her cackle to show off to all her monster friends. (Jeremy Collins, South Africa, animation, 2018, 5 min, nonverbal) Seattle premiere! Persistence pays off when a brave girl who is learning to dive is unperturbed when another swimmer steals the spotlight. (Milen Vitanov & Vera Trajanova, Germany & Bulgaria, animation, 2016, 9 min, Bulgarian with English subtitles) West Coast premiere! Two kids overcome prejudice on an unexpected New Year’s Eve journey on the shoulders of a giant. (Michael Farnon, UK, animation, 2018, 4 min, English) US premiere! A young detective, specializing in the recovery of lost toys, doesn’t always have the best of luck in bringing lost treasures back to their owners. But she knows what she does makes a difference. 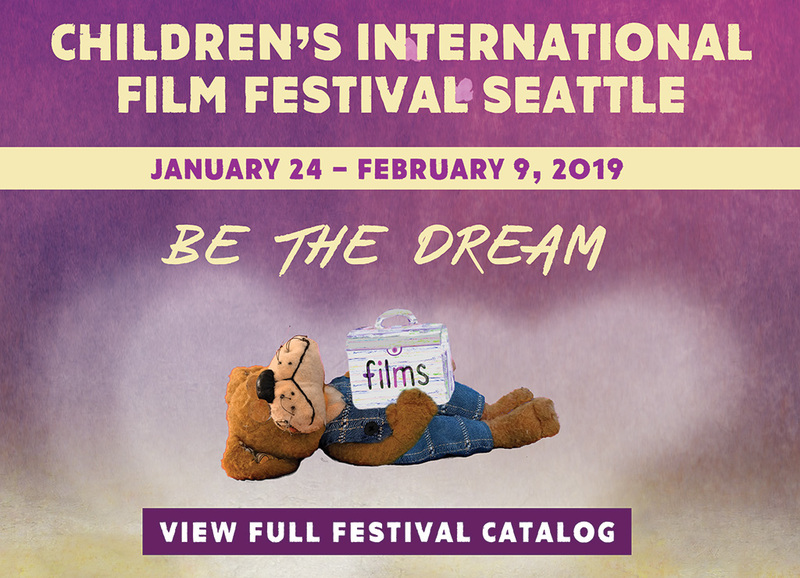 (Nima Yousefi, Sweden, animation, 6 min, nonverbal) Seattle premiere! Two robots can do anything except get wet. So how will they save a beautiful whale? (Edmunds Janson, Latvia, animation, 2017, 25 min, English) Seattle premiere! To win back her parents’ attention, a 6-year-old girl and her imaginary friend come up with a clever plan to send her baby brother and grandma to the moon.